Looking for outdoor space in the West Loop? Welcome to your 2 bed/2 bath condo in the highly sought after "1301 Building" that has a private, 900sf terrace overlooking Washington Blvd! Yes, you read that correctly. These second floor units are rarely available. Step inside to find ample cherry hardwood floors, a spacious living room and marble surrounded fireplace, not to mention a completely rehabbed kitchen (2018). In the kitchen you will find pristine leathered granite counter tops, all stainless-steel appliances, soft close cabinetry with an abundance of storage space and complete with breakfast bar. Enjoy your master suite with walk in closets and double vanity sinks in the bathroom. In unit washer/dryer, extra storage and garage parking included! 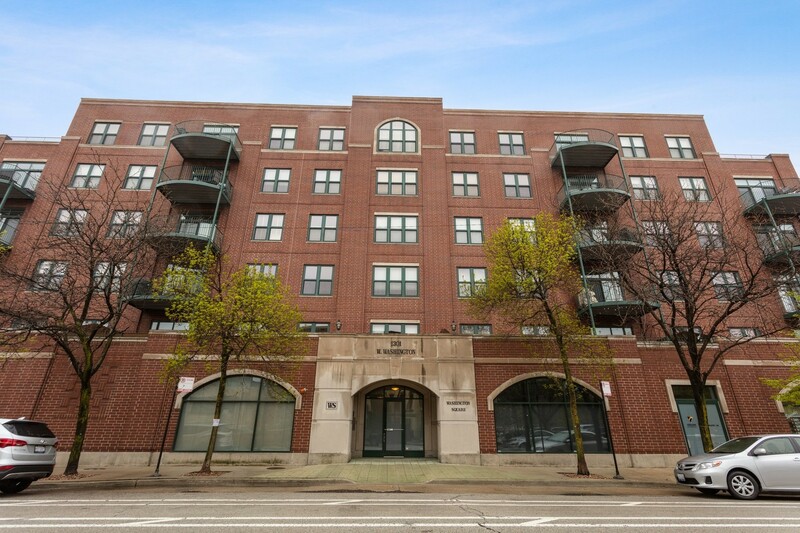 Enjoy everything West Loop has to offer with walking distance to restaurants/shopping on Randolph St, Whole Foods, Mariano&apos;s and more!